InStream is a CRM software, which combines many online communication channels into one simple platform. It helps small enterprises to build relationships with customers and creates tools for more efficient work. I have all the most relevant information from the client to better manage sales and get more customers to track each one. helps me to improve communication through automation and improve sales results because it indicates the sales opportunities that are faster in collaboration with social networks that help me to know more about the customer's tastes and preferences. "the best way to communicate"
"Simplicity in an effective CRM system"
What I like about InStream is its simplicity and innovation in its platform. With the customer segmentation system I can have a better vision of the whole system, to fully handle each communication process with each of our clients and thus develop better interpersonal relationships, such as business alliances. The CRM system is undoubtedly the best to perform any sales and marketing management. But when you arrive at the beginning it is difficult to understand everything, it takes a lot of training and preparation in the area to enter fully into such a deep area, but after it is there the benefits are incredible. InStream is an effective software, fast in its work. With a system that completely complements good sales management and business marketing. I recommend it to cover a lot of work with an effective CRM system, to obtain great benefits both with clients and with our own work. Considerably we have made giant steps with the CRM system. By learning to manage it and exploiting its full potential, we began to obtain better results. The service we offer to our clients now has better quality and professionalism, thanks to the fact that we take each of our experiences with our commercial sales, we handle the failures to find effective solutions that maximize our qualities. In a rewarding way, we obtain great business and work advantages, saving time, money and time invested in different sales organizations. "CRM system unifying and improving relationships with customers"
- It has powerful features. It has very good tools, which systematically allows you to customize and adapt everything according to my tastes and preferences. - Integration and synchronization with other applications to improve the work process. - It is really very useful, allows step by step monitoring of all customers and development in all commercial businesses. In itself, and in general terms the software has very complete tools, but perhaps there are some other details that would add. I would like to be able to manage all the clients that I manage in different groups, in order to better differentiate and organize all the client's development and the business development that I manage with them. The CRM has been a bit complicated to understand, but it has really been a really good and useful tool. The CRM system has been a truly useful tool that unites and improves the commercial and professional relationships with our clients, colleagues and work partners. I like that I can integrate marketing and business administration, InStream is all in one. With this system we have improved the process and sales management. Thanks to all this work is now easier, we have everything at hand for such a powerful and effective tool. Mainly I like it to be an easy-to-use software, it allows me to organize all the clients, employees, fixed clients and colleagues in this way I can have a better communication with them; It also gives me the possibility to handle all interpersonal relationships with clients. It has an innovative design and the interface is quite complete, it has absolutely all the tools I need. Personally I feel that it is a very complete software, its functions are incredible and the tools work very efficiently. However, lately we need to increase the customer relations and the idea of ​​having a video call would be very good, so I would have a direct conversation with the clients and that would be really incredible. The CRM system is really innovative and very efficient. Improved relations with potential customers and with fixed customers in all respects. A truthful contributor to save time and burden at work. I recommend you try it. Thanks to the CRM system that InStream offers, we have improved a lot in the relationship with the clients, because the communication is effective and the organization in the business and sales is really incredible. This system has saved us time invested, money because it is very economical, the projects and sales are made quickly, improving the quality of our services. "Easy to use, contains many useful tools and is a tool that goes hand in hand with any company"
It is an excellent area of ​​work that has a good internal communication system among potential customers, some other contact, close colleague and / or company employees. I like how the lead score is also integrated, thus having a better control of the performance of customer relationships, among others. Likewise it is a platform not very complicated to use, it is very organized and has a good calendar and follow-up conversations. Very inefficient support, they should also include video conferences as well as screen sharing with a client. It is super useful and nothing is used to use, has enough tools to do a good job of CRM, I recommend it. Apart from being a CRM platform in which I have saved a good amount of money for the company with an affordable price unlike other CRM is good software to maintain a good B2B relationship and employees, and so have good feedback Inside the company. "Effective CRM system for intercommerce relationships"
It is a great software, working with the CRM system allows me to improve little by little the inter-commercial relations with the clients and potential clients, in this way to devise strategies for the increase of the sales. It is simple to use, flexible and compressible to what you need, I like the fact of integrating marketing with sales. Syncing other applications with InStream facilitates the entire process. It has a function that I like very much, the lists help me to manage and organize everything much better, in this way I see everything with more clarity. It would be good to have a demonstration at the beginning to understand much better the use of CRM, at the beginning it was a little complicated to understand its precise use, however, with a lot of patience I could understand everything in detail and thus, use it without any inconvenience. If you need to better reach your customers, increase sales and identify all your potential customers, without any doubt you need InStream. With the CRM system you can do all that and more. We had problems with the relationship with our customers, we have improved considerably thanks to InStream. Now that we understand what customers are asking us to do, we organize and manage all the information completely from the different lists it provides, so we bring updates and advances, which makes the work much easier. With the CRM system, we can have a fundamental base in the development of relations with customers and partners and in the improvement of all our sales. "Collaborative CRM, unifies and allows to provide customer service." InStream gives me the possibility of having a long-term relationship with customers and potential customers, in this way we manage the sales strategy with better results. It allows me to personalize using lists or grids and so organize everything according to my needs, in this way it is easier to observe what happens with all the clients. It is an easy to use software, really quite useful, it adjusts to all my objectives, it offers the great opportunity of commercial relations and besides that integrates in a simple way the marketing and the commercial administration, it is all in one. It also synchronizes with external applications which greatly facilitates the work. It was very useful if I could separate all my clients by lists, that would allow me to differentiate them better and help me to see a little better the progress and the distribution of the clients. Applying the CRM cost me a bit, I would like them to demonstrate and help learn to use it better. Of rest, InStream works perfectly, without any problem. InStream provides the opportunity to use a CRM system and thus improve intercommercial and personal relationships, directly, with customers. Without a doubt, it is a unique tool that helps improve sales and relationships with potential customers. It is a great software for the development in the processes of management and commercial, prove it. This software has helped us on a large scale, we have a better relationship with customers and partners, this has significantly increased our sales, on a large scale. The communication has improved, thanks to the fact that InStream does everything automatically, it stores all the data immediately and where I want, this makes the work much easier. The CRM system is really amazing and has been a good base and support for the work we do every day. "Software for effective communication based on CRM." I have recently used the basic version of instream which I find excellent since it is a customer relationship management software that effectively integrates commercial management, marketing and customer service. I find it visually appealing to use a grid view to see what happens to my potential clients immediately. InStream allows you to unify external applications so that they work together facilitating the users' commercial relationships. I recommend that you need a more direct and unified relationship with your clients using InStream, which represents one of the best CRM softwares. InStream provided me with a better attention and relationship with the clients and potential clients, supervising all the communication at all times with them. It should also be noted that the platform does everything automatically thus facilitating the entry of data in the CRM where it is worth noting that all the data related to a specific client is stored in one place which makes all my work easier and much faster. The commercial relations are getting better and the functioning of the platform so that this is so is great because with its Business Intelligence system it makes everything easier and leads to goals that are proposed with customers and sales. "Perfect to make your working routine organized." This is a very easy to configure and use tool for communication with clients. Simple and functional interface. Compared to other software products CRM, where the data is entered manually, is automated, which saves time. Limiting the number of contacts can make it impossible to use companies with a large base of contacts. With this software, you will feel much better and you will be sure that everything that you are doing is working right. All of the work more organized. Instream will help you collect and systematize all information about your partners and clients. Very easy and simple to find and to access contacts. You will be able to monitor the entire history of relationships and important moments. The service is easy to set up and it is easy to use. However, I believe that this service will suit you only if you have few contacts. I would like to say that this software really does a lot of help to our working team and our company. I have the opportunity to monitor the work of my team and my sales processes. The fact that all tasks are collected in one place, greatly facilitate my work. I like the possibility of organizing contacts in different lists. We have been using InStream for some time to manage our contacts and are very pleased that we have the ability to track the development of our customers and our relationships with them. "Better way to improve relations with your clients." A wonderful way to get the right undrerstanding by collecting the customer information I need. Develop the quality of connection and save time through automation. Also, I like to have an approach to all our relations with clients in one place. I'm really glad that I don't have any bad problem with this product. No problem with managing all information and sales trade. The program has the good step to develop our sales process. I recommend this software as I know that is the best one for sale deals. Will give you a chance to be one step from ahead of your contestant by staying closer to your customers. Will give you the ability to control all your communication. You will be sure that your sales will grow faster. We can see what, when and with whom we are been talking to recently. Also, we have the ability to control leads and convert them into happy customers. We can do our sales more effective and work on increase them. "Used since beta. 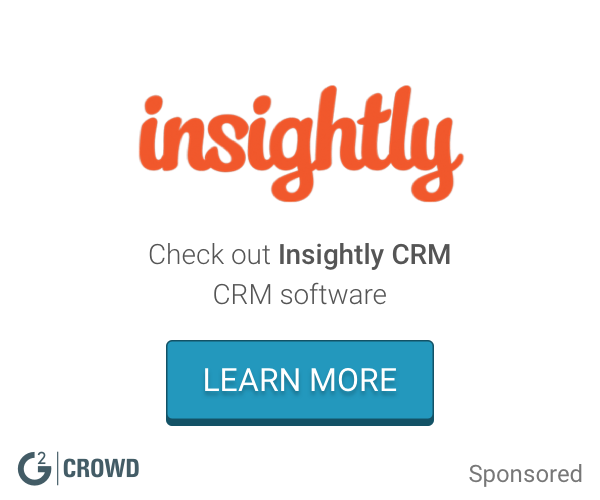 Well developed, lightweight CRM." It is very good to be able to organize both my existing business contacts and potential contacts under one roof. It has a simple design. It is nice to be able to import contacts on different platforms. The basic version was very limited and I'm self employed and really needed something between the basic and next version up. We are an organization that has just began the first stages of our email outreach campaigns and so far Instream has been great for us to track our engagement with prospects. The system is very easy to load new contacts and then sort those contacts into targeted lists. The list feature is highly customizable in terms of the information that can be shown and data fields that can be added. Instream's customer service though is what sets it apart from other CRMs. The support team is there virtually on demand to help you. Would definitely recommend Instream to others.
" Good Service for StartUp companies"
I researched several CRMs and needed something that I found visually appealing and that was simple/easy to use. I have been using the basic version of Instream and it was super easy to import contacts and start working on my lists and relations. I like the grid view to see what's going on with my leads at a glance. InStream enables users to manage their business relations from a single place by unifying external applications and getting them to work together. InStream is a customer relationship management software that effectively integrates online communication channels into a single, unified platform platform. Not enough clear demonstrations of how CRM can be applied. The basic version was very limited and I'm self employed and really needed something between the basic and next version up. InStream has helped me Contact and Manage relations in organizations. Traditional CRM systems are more focused on sales and less on communication. InStream provides easy and intuitive contact management tools and monitors all communication with my clients. Initially, Sales representatives spent to much time on entering data manually into CRM. Now there is no such need. The platform does everything automatically. With it I can store emails, phone calls and all other client-related data in one place. InStream is an online CRM, which helps build strong relationships with customers. InStream is great for Investment Advisors, Client and Risk Management, and Modeling & Simulation. Support non-responsive, bugs that have been there for ages are not getting fixed, social links show you things, but nothing else. Recently Google stopped trusting InStream so email linkage no longer works. There is also no way to export. I was looking for a Tool which supports my sales processes in an easy way. As a startup, you have to take care of your budget. So InStream was the best too to make my business growth and held the costs low. The GUI follows normal conventions so it is easy to use, getting started is pretty much instant unlike the Sugars etc. I also like how it integrates and tracks conversations via email and displays social media posts related to leads/opportunities etc. ""CRM framework bringing together and improving associations with clients""
Basically I like it to be a simple to-utilize programming, it enables me to arrange every one of the customers, representatives, fixed customers and partners along these lines I can have a superior correspondence with them; It likewise gives me the likelihood to deal with every relational association with customers. It has an imaginative structure and the interface is very finished, it has completely every one of the apparatuses I need. By and by I feel that it is an exceptionally total programming, its capacities are mind blowing and the apparatuses work very productively. In any case, of late we have to build the client relations and the possibility of ​​having a video call would be great, so I would have an immediate discussion with the customers and that would be extremely staggering. The CRM framework is extremely imaginative and exceptionally productive. Improved relations with potential clients and with fixed clients in all regards. An honest supporter of spare time and weight at work. I prescribe you attempt it. On account of the CRM framework that InStream offers, we have improved a great deal in the association with the customers, in light of the fact that the correspondence is powerful and the association in the business and deals is extremely fantastic. This framework has spared us time contributed, cash since it is efficient, the tasks and deals are made rapidly, improving the nature of our administrations. My job is to put together information about important, high-risk and low-risk investments, which means I work many gruesome hours. With the market constantly changing, I need to stay up to date and be tied to the updates of our current economy. I was looking for software that would help me communicate with brokers, fund managers and clients and I came across InStream. This software helps me merge and collect relevant data from my clients so that I can match them with the right investments. It also keeps a history of chatting with your clients, which is very useful, because you can always look back and see if you forgot something. I'm very happy with the program. However, to say that its features are quite basic. It would be great if you could offer more services in addition to customer and risk management. "Great helper inside a company"
I really like that I can keep my information organized. I like to use this great tools. I like that I can work myself, including all new custom unit. I like it so much. On my opinion, it is very nice tools. Everything that you are doing will works well. I like that I can receive very fast help from support service. They know what they do. Thank you for that. Actually, it is a good product. Very big helper. Will make your sales leads and possibility more organized. Very easy to access clients files, support service is very helpful. Very good for a company. For us its really good step and helper. Great an easy step to control our clients. I like that we can have fast reporting. Great to customizable almost everything what we need. It makes the job easier because it collects valuable information about your customers and also manages your business relationships easily, obtaining immediate access to everything you need. He always has his contacts in different lists to keep them in order and also that he has good publicity. I would recommend it because the page is safe and the most important thing is that it seeks to create a relationship with business. The website has many things that make it easier for me to find what I need. "Instream is your best sales executive!!" 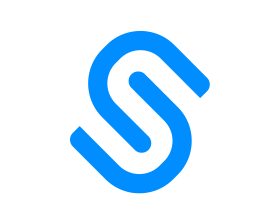 The companies that develop Instream videos survive thanks to the advertising they charge to advertisers, so your signal will be flooded with commercials or banners that will detract credibility and seriousness from your transmission, or worse, they can show advertising from your competition! I recommend 100% !! In-Stream video provides a type of advertisement designed to grab your prospects attention quickly. Unlike traditional advertisement videos that are made to run exclusively way, In-stream videos run like a television ad; they appear while your target market is watching another thing anda thus In-stream catch attention effectively. This is a really easy to use and set up way to track clients. The interface is well laid out. Their cap on contacts made it not worth the money as other products do not cap number of contacts and my company has over 100k contacts. it was a bit unclear where if you buy premium (which is only a few dollars higher than what we use currently) whether that would be for "unlimited" users as the price noted per user. My associate tried to find an answer to the question, but never heard back) so we simply moved forward with another company. But I would definitely recommend this for someone with less clients. Limited users on free version.Not enough clear demonstrations of how it can be applied. Offer a basic version that allows a couple of different lists to be created at a minimum (for current clients, potential clients, past clients) - I think most are looking for this at a minimum. "Instream is an awesome app"
Instream enable me collect important information about our customers by helping my team automatically gather important sales data and leads from major social networking platforms like Linkedin , Twitter and Facebook. I like its aesthetic view of seeing all activities of our leads via a grid view .In comparison with other CRM tools ,information on Instream is entered automatically and this its best selling point. I’m very happy with their program. However, I must say that their features are quite basic. It would be great if they can offer more services aside from client and risk management. Instream enable me collect important information about our customers by helping my team automatically gather important sales data and leads from major social networking platforms like Linkedin , Twitter and Facebook. "InStream is a good app!" Instream is an awesome app that helps you to strengthen business relations not only with your frequent/ potential customers but also with people it is important for you to remain in a good contact. The biggest advantage for me is that you can create your own lists without much effort, so that the platform become personalized for your specific needs. Do the good research and make clear what your needs are. There are many CRM platforms available on the internet, they are all good, but u have to know which one would be the best for you. Before finally deciding on InStream I was signing in for 4 other platforms and after a month testing different products on trial versions I knew with which one I have to stay. InStream allows you to put all the important information and records of your(or your colleagues) communication with him in one place without permanent switches between pages. However it takes time to really understand the nook and cranny of Instream. Requires a lot of patience as Instream isn't the most intuitive CRM out there. This software helps me gather relevant data from my clients so I can match them with the right investments. It also keeps a history of all your communication with your clients which is very helpful, because you can always go back and check if you forgot something. "Positive CRM sytem for commercial relationship "
The ease of use and various integrations are some of it's strongest features. We had no issues getting it plugged into our CRM and Accounting software packages. Any issues we havepurely minor issues like adding other shipping companies to the list in the procurement tracking model. There are workarounds to still provide tracking for LTL and regional freight couriers, but it would be nice to be able to have the ability to track all of the couriers. The efficiency of getting quotes assembled and distributed allows us to run a lean staff and maximizes our resources. Great CRM for managin relationships. Easy and fast. Too little options to manage and analyse the sales. Also very poor options to make sales opportunity specific like expected margin broken down to particular elements of the sales etc. If you look for simple, relationship and communication orientated CRM without wide range of sales options you might try it out. It helps me to communicate on time and be exact about topics of communication with my prospects and clients and beeing on time is sometimes the difference between selling and not selling. You can connect various email accounts into this website and make it easy for you to check. The pricing of this place. If you try it for free, the functions you can use it's very limited. And I don't want to pay for this out of my own pocket. First check to see whether your company will pay for the service. I only try the free version to see whether I like their service or not. Personally I will not recommend for this kind of service, if your company ask you to pay for it. There are other product in the market you can get it for free. Because of the limited functions I can use, I only use this for consolidate my email & use the notification to remind me of the events coming up. "boosting the brand by capturing potential customers"
I love that the videos can be played before, through or after the content to advertise in our brand.Its interface is well designed, it is easy to use and it allows capturing potential clients who are interested in improving communication with each one of them. Was the interface very interactive and great to look at , overall ease and availability to teach others the platform was a plus . The website isn’t buggy like other websites. The over experience was great using the website. I always would like to see an intergreated app . That would allow a better easy of access and availability to teach others the platform. Overall very pleasant to use . I really like that they are an innovative financial planning that is quickly revolutionizing the way advisors deliver advice, and redefining how they manage their practice. My experience with them was very good, I didn’t have anything that I didn’t like or that made me not recommend the company for other people. They provide me advisors with a simple robust planning capabilities to increase my client satisfaction, and most importantly, grow my business. Instream focuses on communication and I have a great view at all of our sales processes in one place. The more you have, the more you want - I am waiting for new features they are about to release soon. I need to control our sales team and my own sales processes. I can see whole communication with our clients as well. "Permite recopilar información de todos los clientes"
InStream analiza el historial del cliente y proporciona información sobre el comportamiento del mismo. es muy buen canal de comunicación. No es nada intuitive, tienes que dedicarle muchas horas para que el funcionamiento resulte eficaz. Se pueden configurar alertas y notificaciones para las actividades y garantizar un buen servicio. Puedes encontrar fácilmente conversaciones e información sin perder mucho tiempo,. They are always online, and they know their own product. It`s important - they can help quickly! I don`t see any.. It`s startup - so real time changes are natural.. So if must write 40 characters - i do that now.. I can to see with customers are promising to payment. InStream has a clear, innate logic to it which helped us categorize our relations with clients. The system is continually growing and the staff is eager to help you out anytime you need it. We're interested to see how the system develops and looking forward forward to further implementations. Relations lists loading and calculating speed could use some work. I like being able to have customers in contact with the business. It’s a great way to improve communication. I don’t dislike anything to be honest, it’s very simple and effective. It’s been nice to keep an open door of communication with customers about their concerns, or exciting. Promotions to get them through the door. Its an easy to use software, has many special features and good tools to help you! "Nice product moving forward very fast"
There are some mistakes, that shouldn't happen in such product. They should be found in testing process, but it looks like it is changing in positive way. I found an easy tool that helps to manage my customer relationships that are not connected with sale process. This software helps me gather relevant data from my clients so I can match them with the right investments. It takes time to really understand the nook and cranny of Instream. Requires a lot of patience as Instream isn't the most intuitive CRM out there. It enables me to collect important information about our customers by helping my team automatically gather important sales data and leads from major social networking platforms like Linkedin , Twitter and Facebook. I like the relation lists. It is just awesome that I can gather my contacts on different lists - they are like folders on my pc. I really would need an integration with slack. It was easy to setup. I think is perfect for small teams. I have better control of my team and also do not have a problem with setting up my calendar. It is much easier to have all tasks in one place. The feature that allows for targeted deal options for customers based on their purchases is great. InStream helped greatly in organizing customer information. From my experience with inSeam I didn’t notice any downsides or negative aspects. This helped by allowing targeted ads and coupons based on customer purchases. I like how the software Gets the job done . I love how to program is very diverse and it really helps our company manage and view sales. We are able to plan our daily, weekly, and monthly goals based on what this program provides. That you can create personalized lists based on contact groupings. I don't dislike much, it seemed to work really well for our company. The calendar feature is really helpful. Other CRM systems have to be entered manually but this is automatic, saving myself and other sales reps a lot of time. Staying organized with contacts. In sales you can have a lot of contacts and staying organized and on top of who you contacted recently, when, and about what is important. Instead is a great CRM. Helps you stay on top of your game. I really don’t have anything bad to say. Helping keep e accountable to my clients. * We monitor all InStream reviews to prevent fraudulent reviews and keep review quality high. We do not post reviews by company employees or direct competitors. Validated reviews require the user to submit a screenshot of the product containing their user ID, in order to verify a user is an actual user of the product. Hi there! Are you looking to implement a solution like InStream?